Early mid-century (c. late 1940s) Tuscan Bone China | RH&SL England Buckingham Palace hand-decorated square cake or cookie plate with embossed gold accents and a scalloped, gold edge. 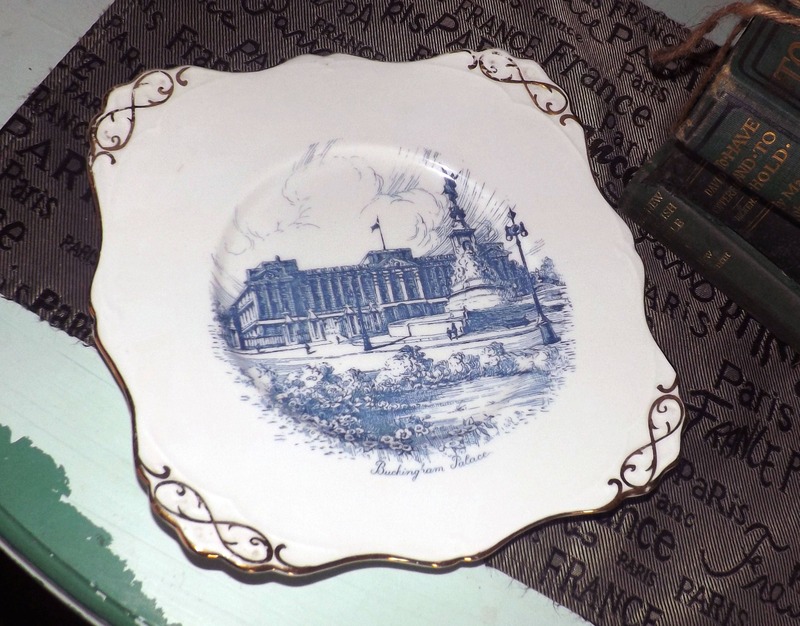 Central image of Buckingham Palace in blue set against a white ground. Plate has gently sloping sides. 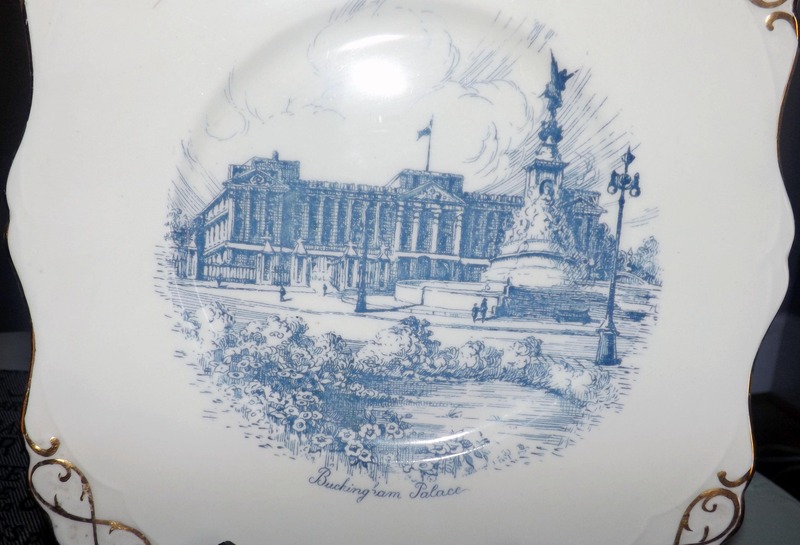 This commemorative plate is in EXCELLENT! condition with NO! chips, nicks, cracks or fleabites, LITTLE TO NO! loss to the embossed gold accents and NO! marks, stains, scratches or other signs of use or wear. 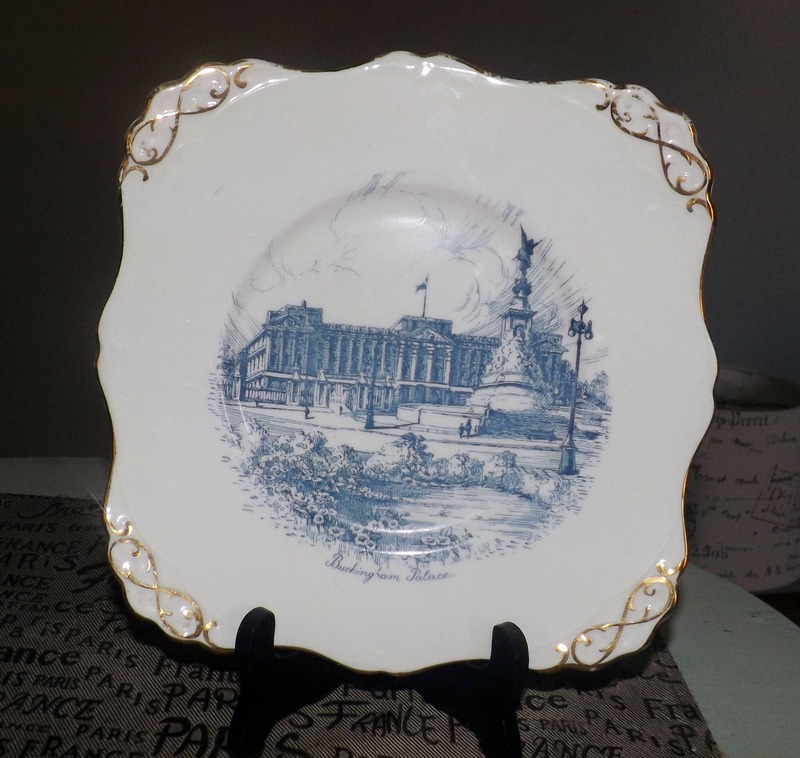 The large and central image of Buckingham Palace in blue with blue wording is bright and vivid with NO! fading apparent. There is some VERY MINOR! 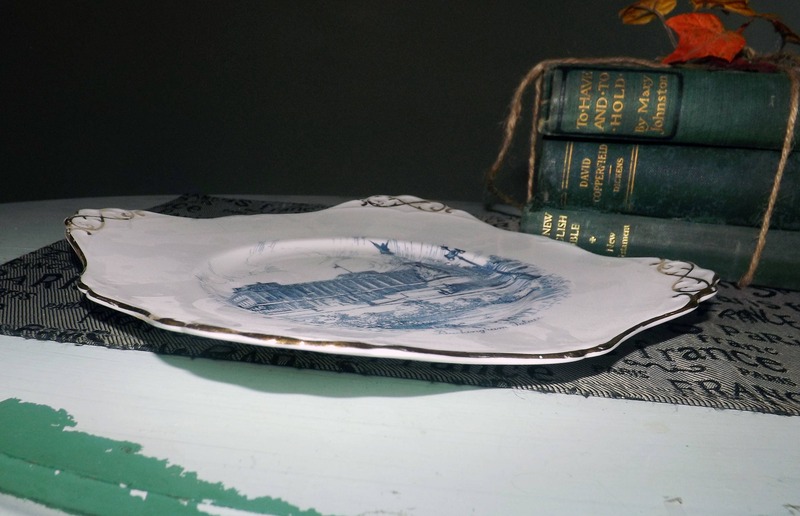 loss to the scalloped, gold edge (please review each of the posted photos for a complete visual of the plate). Plate bears the gold decorator's brush mark to reverse. Great item for Royalty buffs! 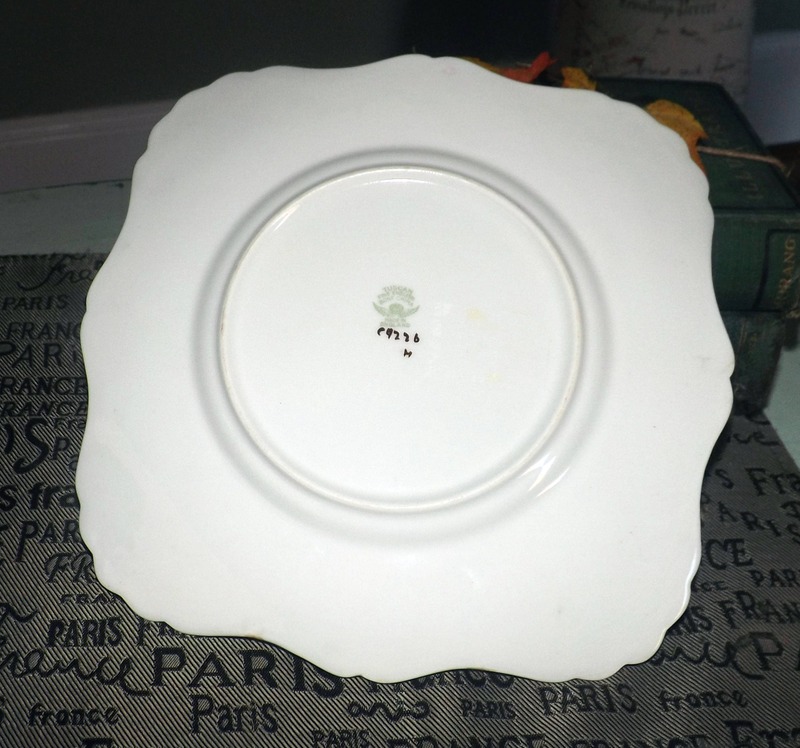 Approximate measurements: squared plate is 9-1/2" in diameter with embossed gold details and a scalloped, gold edge.